Check out our matching accessories. 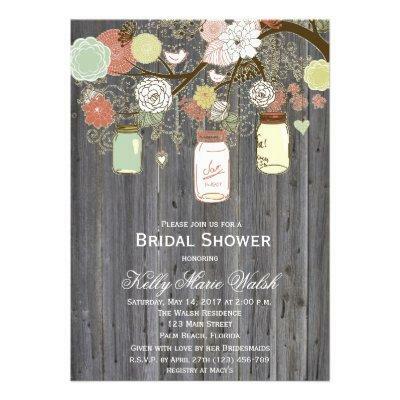 Country Rustic Mason Jar Bridal Shower Invitations. Pretty Floral birch branch with hanging mason jars. Cute for a Bridal Shower, Engagement Part, Wedding Invitation or Save the Date.